A majority of all the political parties in Parliament asked the Progress Party on Monday to find a candidate other than its former leader, Carl I Hagen, for its seat on the Norwegian Nobel Committee that chooses Peace Prize winners. The Progress Party, however, is defying all the protests over Hagen’s nomination, leading to a remarkable stand-off in Parliament that ultimately can cost Progress its Nobel Committee seat. The Progress Party, still furious that Parliament overruled its government-backed asylum policy earlier this month, is clearly in a defiant mood. The fact that it’s picked a huge fight over its seat on the Nobel Committee is harder to understand. Progress’ decision to nominate Hagen has set off widespread protests, since Hagen’s role as a substitute Member of Parliament would call the Nobel Committee’s independence from Parliament into question. The party itself famously rejected Hagen when it last had a chance to choose a committee candidate in 2011. At great offense to Hagen, who has long yearned for a seat on the Nobel Committee, the Progress Party opted at the time to retain its current long-time Nobel Committee member, Inger-Marie Ytterhorn, for another six-year term. Now her latest term is up again, expiring on December 31. Ytterhorn, a former Progress Party politician herself, wanted to continue for yet another six years on the committee. Most assumed she’d be renominated and routinely approved by Parliament as a whole. It came as a surprise when the Progress Party suddenly rejected the veteran Ytterhorn, who’s sat on the Nobel Committee since 2000, and nominated Hagen instead last week. Then it was her turn to be offended by her own party, and she quickly joined all the opposition to Hagen’s nomination that included objections from the director of the Norwegian Nobel Institute, Olav Njølstad, who also serves as secretary to the committee. While Hagen has long opposed immigration and never been known for having any strong interest in foreign policy, peace or reconciliation efforts, all of the opponents of his nomination cite his ongoing role as a vara (subsitute) MP as their main objection. It means he can often be called into Parliament, to sit on committees or vote in plenum. Not only can that interfere with Nobel Committee meetings and deliberations, it’s considered inappropriate and defies all efforts to reinforce the committee’s independence from Norway’s Parliament and government. Even though the Parliament is charged with choosing the members of the Norwegian Nobel Committee, under the terms of Peace Prize benefactor Alfred Nobel’s will, the committee acts independently when deciding who wins the Peace Prize. 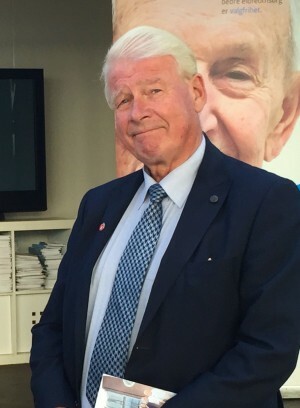 Njølstad went so far as to say last week that the Progress Party’s decision to nominate Hagen showed a lack of respect for the committee’s work. Others say that having Hagen on the committee can hurt its reputation. The decision has also set off the storm of protests from not just all the other parties in Parliament and Njølstad but also many professors and newspaper editorial writers. Papers at both ends of the political spectrum have called Hagen “unsuitable” for a seat on the committee. Yet he’s not taking the hint and bowing out himself, nor is the Progress Party backing down, despite all the fuss Hagen’s nomination is causing. Or perhaps because of it. The party is so angry over the Parliament’s order to give young rejected asylum seekers a reprieve from the deportations it’s championed that it may just want to stir up trouble in Parliament. It all may backfire. The president of the Parliament, Olemic Thommessen, called in all party leaders Monday to discuss Hagen’s nomination. Norwegian Broadcasting (NRK) reported that their conclusion was clear: “We have agreed that this is a seat the Progress Party has on the Nobel Committee, but we have also come with a clear call that the Progress Party must re-evaluate its choice of candidate,” Labour Party leader Jonas Gahr Støre told NRK. That was flatly rejected by Hans Andreas Limi, the parliamentary leader of the Progress Party. “We must discuss the situation that can arise in Parliament if our (seat on the committee) is challenged,” Limi told NRK. Asked if that means the party will put forth another candidate, Limi answered “no.” Confronted with the reason for all the objections to Hagen, and asked whether the party had any concerns that it was endangering the reputation of the Nobel Committe, Limi also answered “no.” Asked why they refused to acknowledge all the skepticism around Hagen’s nomination, Limi replied: “We don’t relate to skepticism, but to what we believe is a matter of principle.” The real “principle” at stake, though, is the independence of the Nobel Committee, something which the Progress Party itself has championed in the past. Now other parties in Parliament, which collectively must approve Nobel Committee appointments, can nominate another candidate for the Progress Party’s seat, even though all agree that the Progress Party deserves its own seat based on election results. An alternative nomination from another party would be unprecedented, however, and the question then arises over which party may field a rival candidate, and who that would be. One option would be for the Parliament itself to nominate Ytterhorn as the incumbent from Progress, unless Limi and his colleagues do indeed “discuss the situation,” finally acknowledge the objections to Hagen and come up with a new candidate themselves.